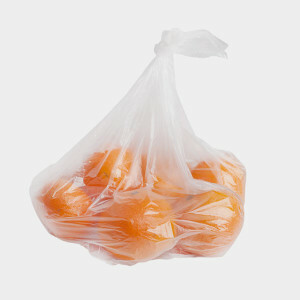 Pre-washed salad comes in plastic bags that have an extra layer to protect the bags’ contents. Packaging for salad cannot be recycled because of this extra layer, so throw it away. Shopping with reusable produce bags reduces your plastic waste in the same way as reusable shopping totes. ChicoBag is one company that sells reusable produce bags that are made from recycled plastic and organic cotton.